Having thick hair can be a struggle when you’re contemplating short hair. Most people have complained about their hair being too thick to do anything with in terms of style. Don’t stress over it. Here are some beautiful bob haircuts and short hairstyles for thick hair to reassure you that this can happen. 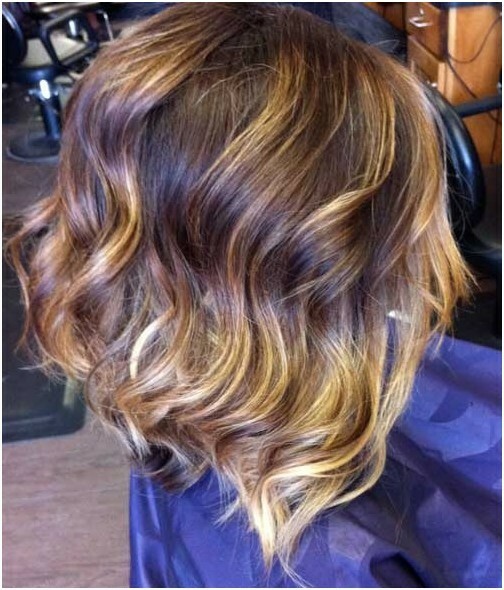 This short ombre bob haircut is the shortest thus far, but there’s no need to worry. Taking a razored scissor to the ends will help get rid of the extra bulk so you won’t end up looking like a poodle. 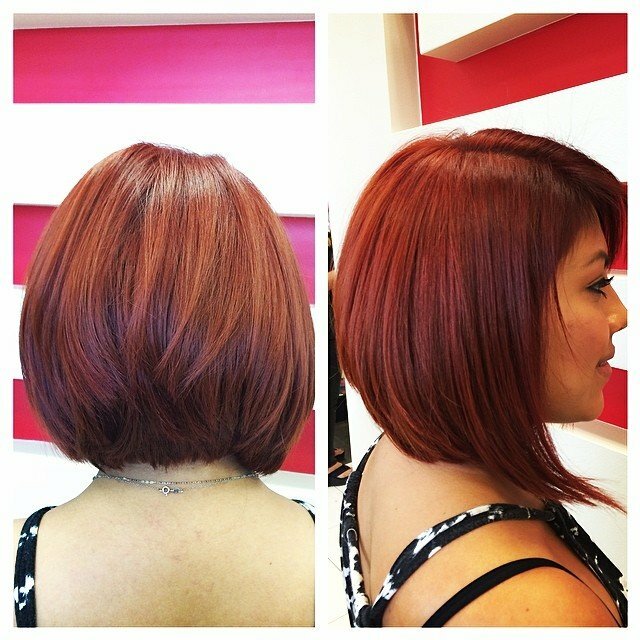 Bob haircuts for thick hair look spectacular with an outrageous color. 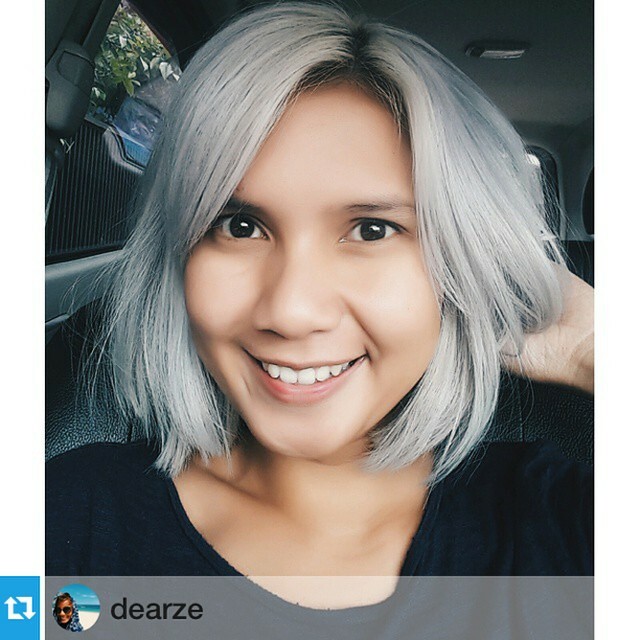 Give your bob a lot of extra sprucing with grey or silver hair which are the hottest hair colors right now. Beautiful bob haircuts often come messy. 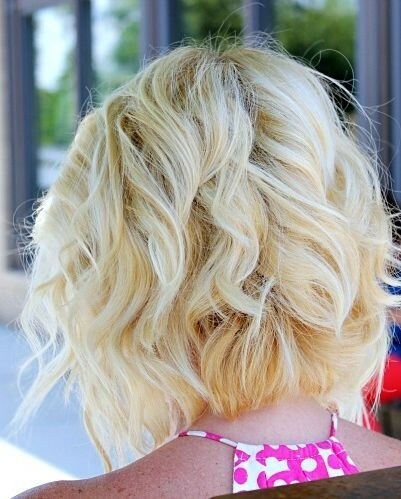 Significantly choppy layers look great on a lot of cuts for thick hair, especially bobs with curls. You can make tight little curls and lots of them. Instead of making the entire head curly, give the long bangs mostly straight with a little bit of a curve at the end for a little texture contrast. When the curls are done, ruffle your hands too so you make this a put together hairstyle that isn’t too perfect. Hair doesn’t always need to be perfect. 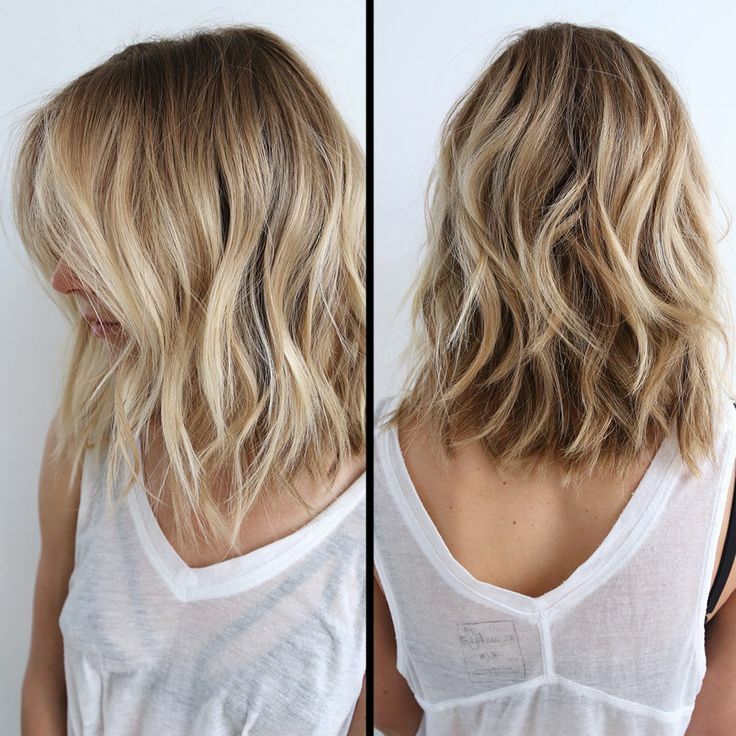 This medium balayage bob hairstyle has the same idea as the other, but the length is just an inch longer and all of the hair is curled. 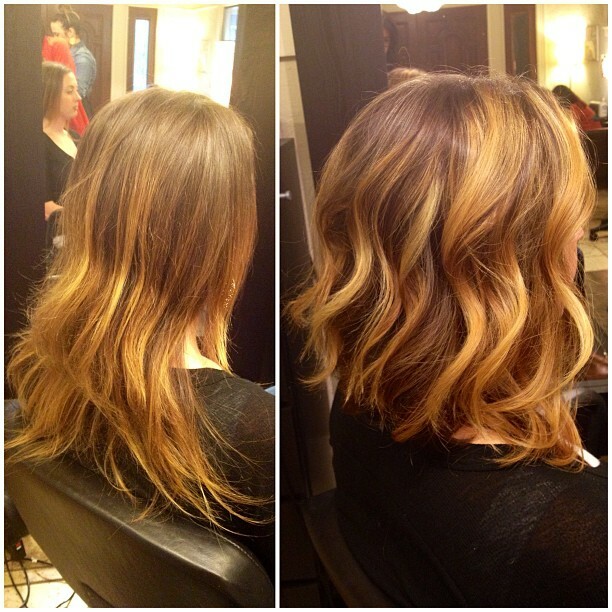 Drastic ombres aren’t for everyone so you may just want to stick with a more subtle ombre, or a sombre. The dark brown and light blonde are obviously very different colors, but the stylist makes the colors blend together perfectly. Get your head red carpet ready with a middle part and big curls. This can be easily achieved with a one and a half to two inch curling iron. Keep the curls turned away from your face and curl them in the direction behind you. A-line like cuts don’t have to be straight. Glam them up with luscious curls. 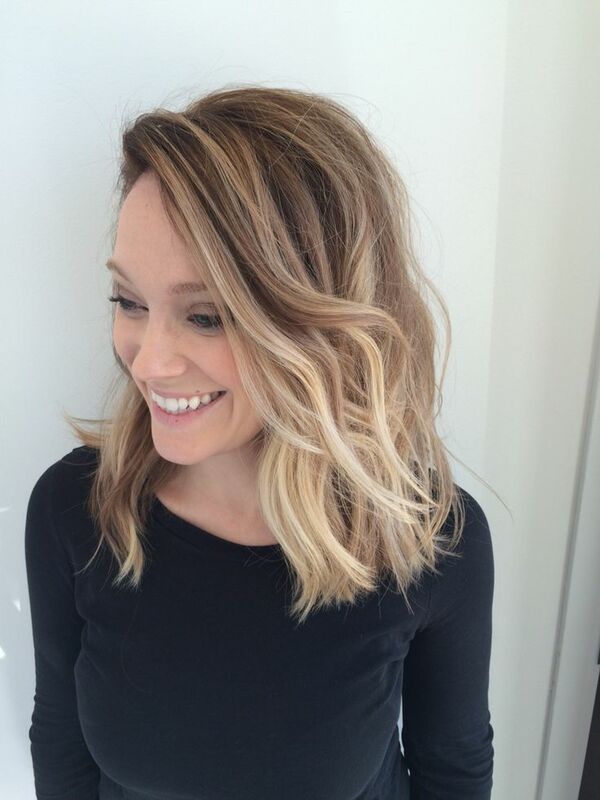 For extra fun, get blonde highlights at the ends to contrast with the dark base color. Do you love this color? 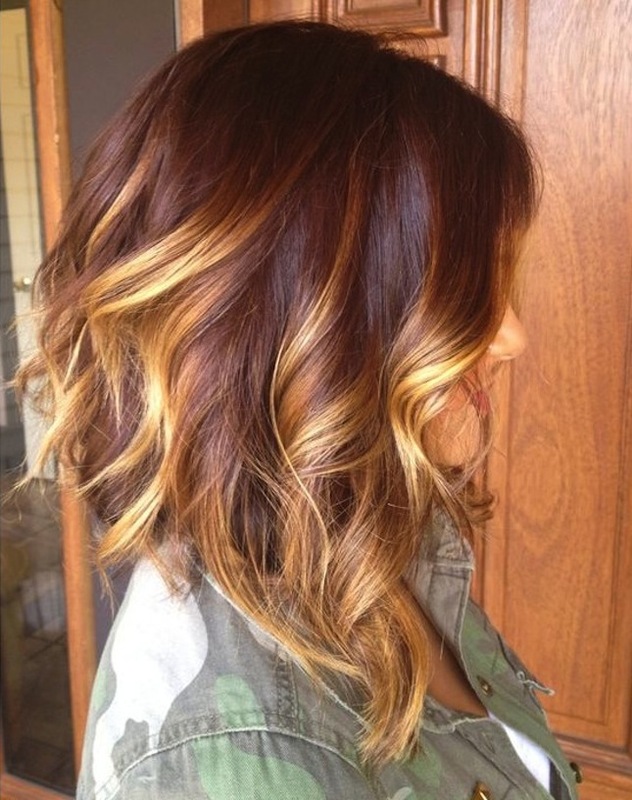 Find more hair color ideas on pinterest! People often miss the back of their head due to not being able to reach it and see it. Always make sure to get the back so it doesn’t look plain and boring to anyone looking at the back of your head. Get layers shorter in the back so they’re easier to hold onto and curl. When adding highlights to your hair, so the extra mile and take a section or two of hair at the front and dye it the lightest color of your hair palette, like platinum for this blonde. 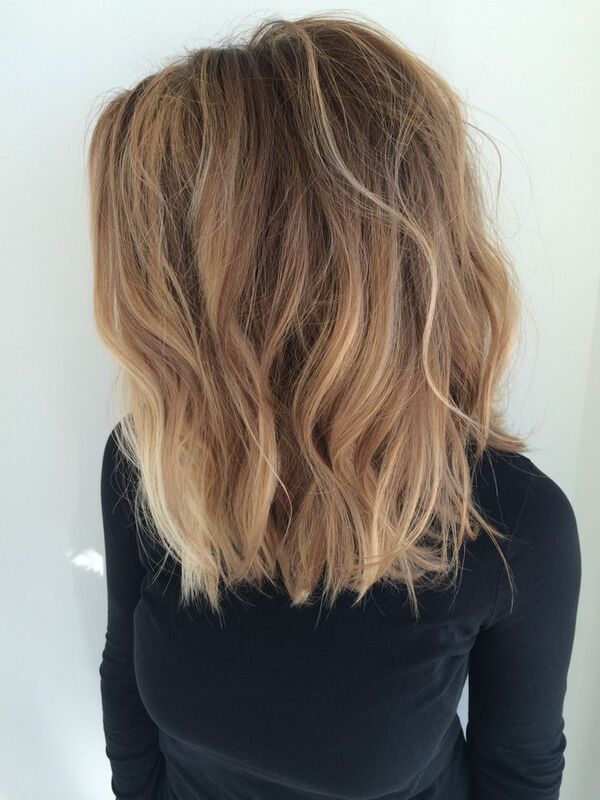 Getting an inverted bob can actually make thick hair easier to style due to the short length and layers. Layers in a hairstyle help thin out hair so you’ll have a little less of it. Grab a flat iron to straighten your hair as it’s the easiest and most minimal way of styling so you won’t need to spend too much time fussing over it. 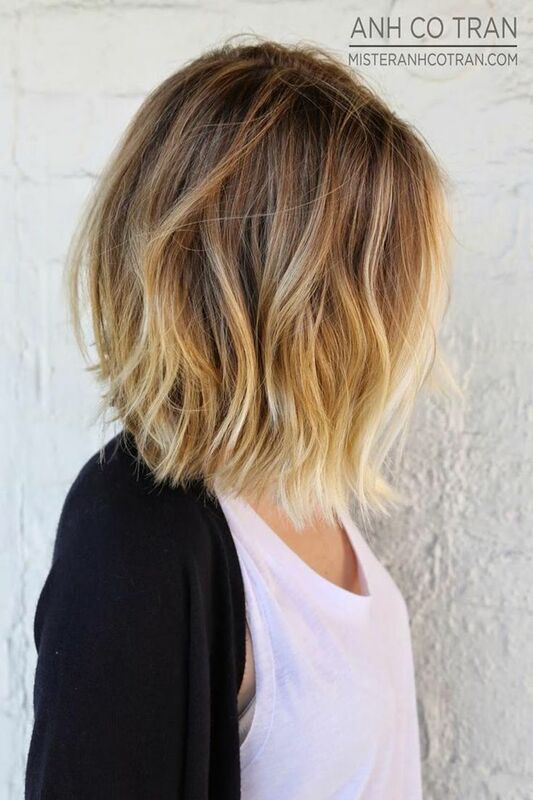 This isn’t a true a-line bob due to the stacking in the back, but the long length of hair in the front is typically thin enough to give the illusion that the rest of the hair is too. Getting an undercut and lots of layers in the back will give you not as much hair to work with at once when styling. 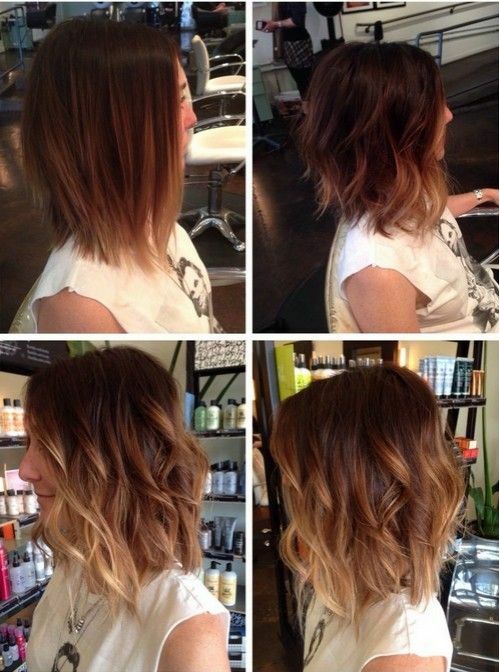 Give beautiful bob haircuts something even more beautiful to go with it, like this dark brown to medium blonde ombre. A fresh colour should always go with a fresh haircut. Thick hair tends to have a little more body already so you may be too scared to add something like curls to it as curls give more volume. There’s nothing to worry about since with the right cut, your curls will make things look really nice. 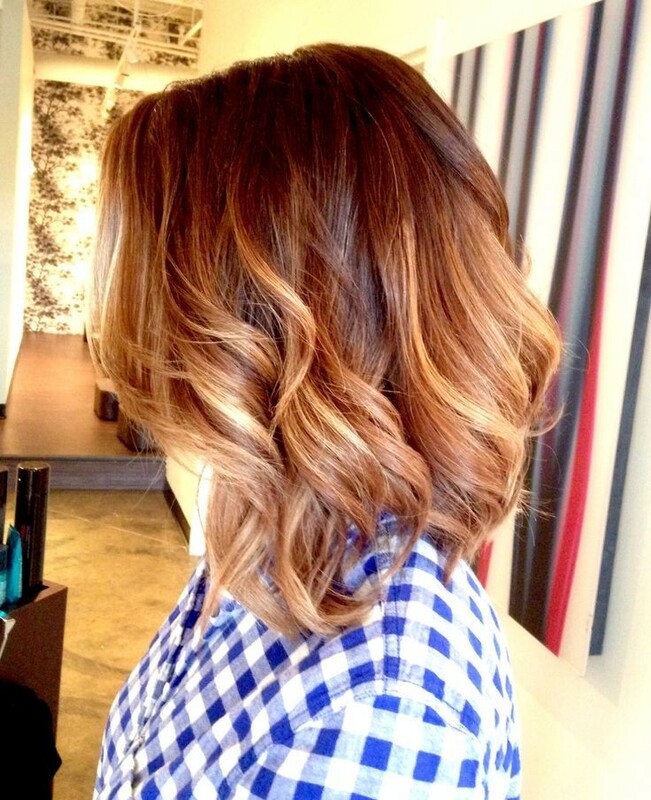 Make sure to ask your stylist for a lot of choppy layers to balance out the thickness of your hair. 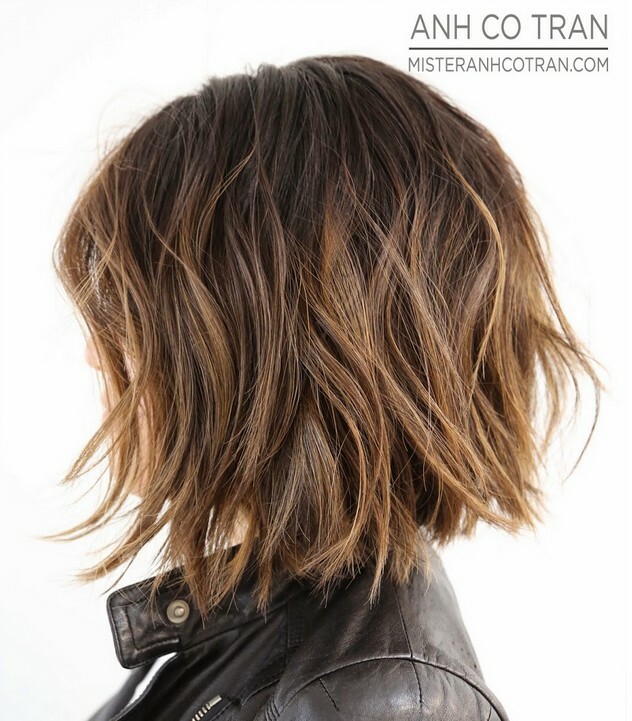 Sassy balayage bob hairstyle for medium length hair. Don’t be afraid to bite the bullet and take off the unnecessary length. 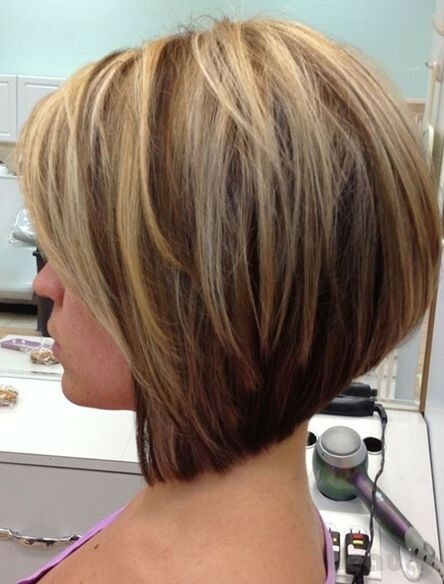 There are beautiful bob haircuts that will make you feel confident in your decision. Chopping off the excess hair will make your head feel lighter and is more likely to frame and suit your face better. 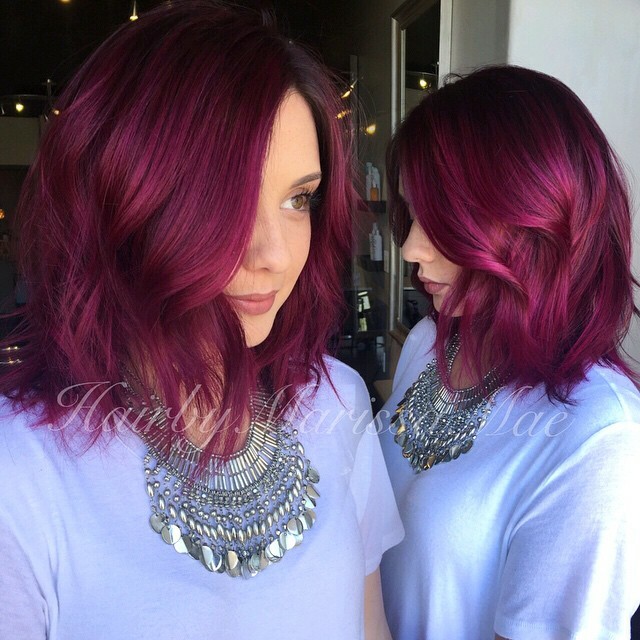 Let your inner party girl shine through and out of its cage by getting a bright and bold color all over, like magenta. If magenta isn’t your thing, remember that you can use any color of your choosing. Curls can be a little too much to handle so put less stress on yourself by getting waves instead. Give your style a little something by taking your bangs and bringing them back just a little bit. Make sure to keep them in place with a generous amount of hairspray so they don’t fall forward. See the difference between the straight hair and the curly hair? There is an obvious texture difference but the amount of life that the curls bring make the curls the winner. 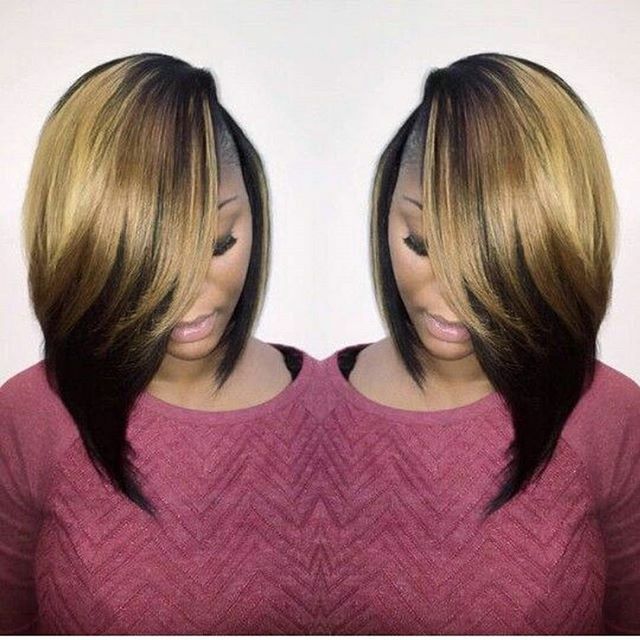 Asymmetrical hairstyles for thick hair are absolutely stunning. The swoopy long side of the asymmetrical cut gives off a beautiful femme fatale feel while the blonde dye on top make this fierce and striking. It’s an instant showstopper and will always get a second look when out and about. Get ready for that first date by adding lots of curls. This isn’t supposed to be a messy hairstyle so make sure to really work to have smooth curls without frizz. If you need a little help, apply anti-frizz and curling creme to make them the best they can be. You can make your curly hairdo a little unique by putting them into three main sections: a section on each shoulder and one in the back. It’s nothing drastic, but it’s a little touch that makes it a little difference from typical styles. Give your style a combination of textures to make things interesting and new. Curl a few strands of hair to make things fancy and keep a couple wavy or curved. This will make your look put together, but it still feels carefree and relatable to everyone else that doesn’t do a lot with their hair. Lots of curls are made so that they stick out. It’s cute, but it’s been done over and over again so switch it up by making the curls go inside so only a little bit sticks out. 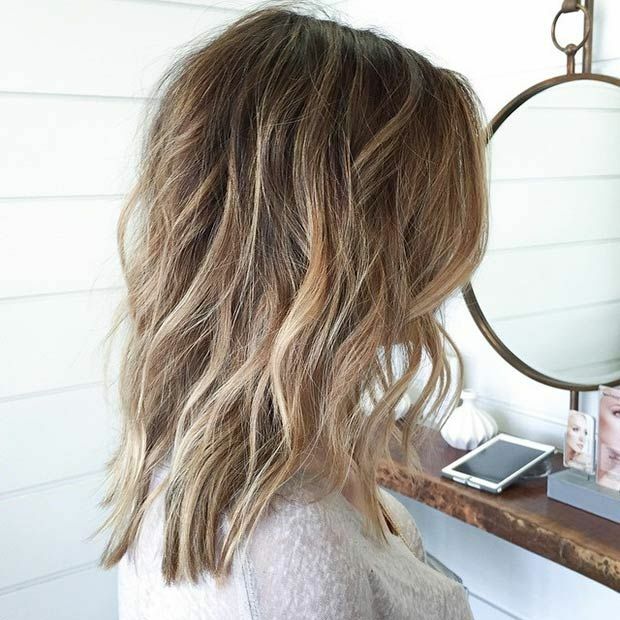 Stacked bobs don’t need a whole lot done since they’re interesting enough to stand on their own, but to add a bit of extra definition, small blonde highlights will make it pop even more. Here are the beautiful bob haircuts and hairstyles for thick hair. Working with thick hair can be a little difficult at first and you want to refrain from looking like a poodle, but with the right research, you will know that hairstyles for thick hair do exist.